On December 30th, my cousin, Rachel, suddenly and unexpectedly lost her husband, Matty. 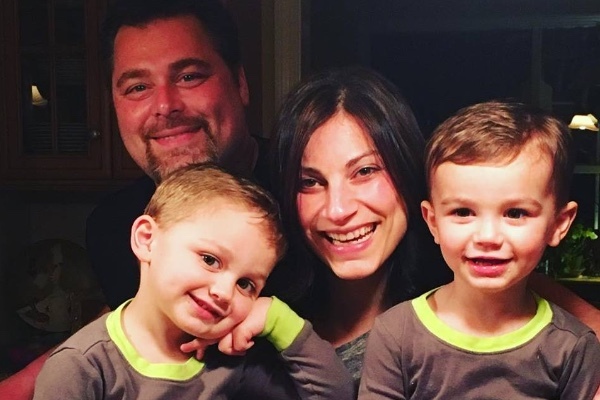 Rachel and Matty recently celebrated their 8th wedding anniversary and have two adorable little boys who are 3 and 5 years old. Matty was only 41 years old. He was a wonderful and loving husband, father, son, brother, uncle, cousin, friend. He was a hard worker and completely devoted to his family. Everyone who had the pleasure of really knowing Matty can share countless stories of him that will end in belly laughs, or tell you about his generosity and heart of gold. This is obviously a very difficult time for Rachel and her family and will continue to be so as they try to rebuild their lives without him. While nothing can ease their grief, I’m hoping to support Rachel, by raising money for any expenses she may incur now and in providing for her sons, going forward. If you’d like to help, any amount would be greatly appreciated. I met Matty through Terence M. when he attended Manhattan College. He was always fun, kind and easy to get along with. We shared some good times together at Manhattan College and in Rockaway Beach. Sending love to you and your children. I work with Vanessa and Joanne and I am So very sorry for this terrible tragedy. Thoughts and prayers are with you and your family. My deepest condolences to the entire family. You are all in our thoughts.